Today’s recipe is pure comfort food: (Gluten-free) pasta in a thick, creamy tomato sauce topped with melted cheese. 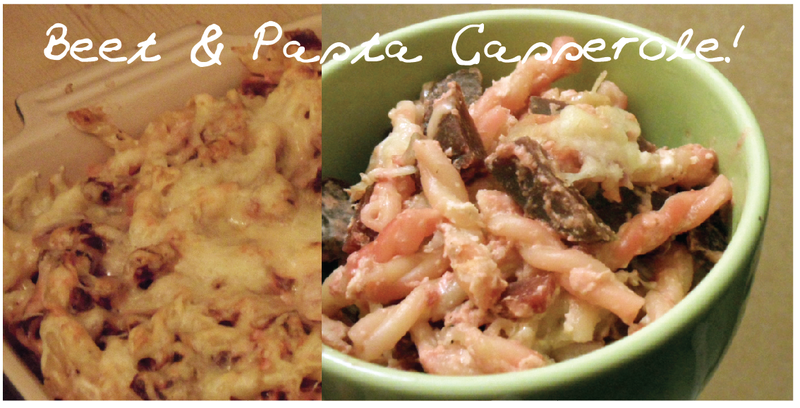 A simple prepared dream of a pasta casserole! 400 g (gluten-free) pasta, 1 tube tomato paste, 400 ml heavy cream, 250 g grated cheese, 1 garlic clove, 100 ml olive oil, herbes de provence, dried oregano, 1 diced onion, vegetables (like cubed bell peppers or zucchini), 100 g tinned corn (drained), a handful of halved cherry tomatoes, salt, pepper. Cook the pasta according to what’s instructed. For the sauce mix the whole tube of tomato paste with the heavy cream, the olive oil and one smashed garlic clove. Season with pepper, salt, herbes de provence and dried oregano. Roast the vegetables in some olive oil until tender. 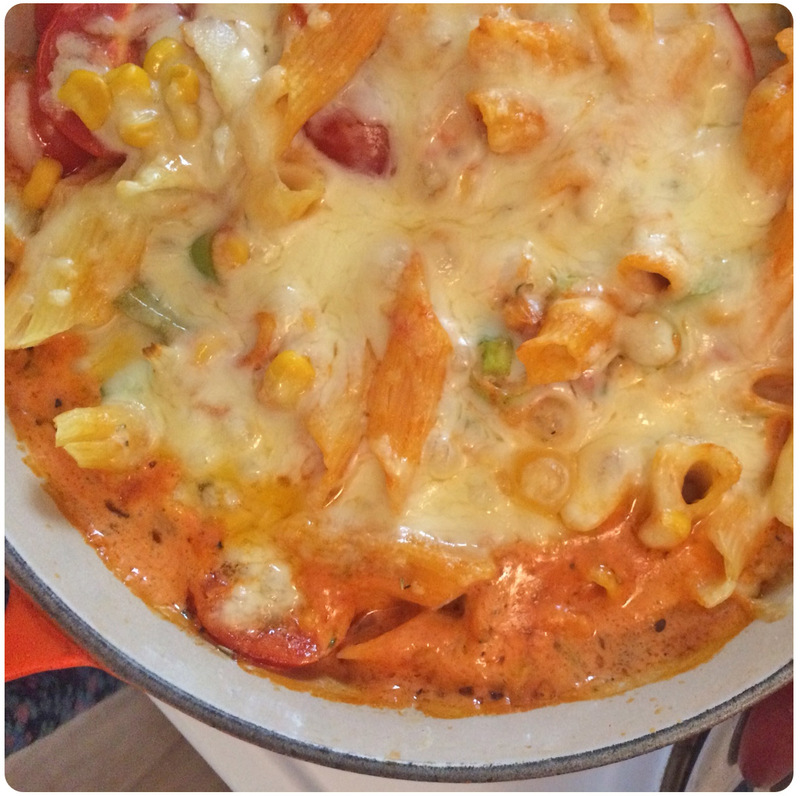 In a big casserole combine cooked pasta, 125 g grated cheese, the corn, the roasted vegetables, the tomato halves and the sauce. Top with the rest of the grated cheese. Bake at 180°C for app. 30 minutes. 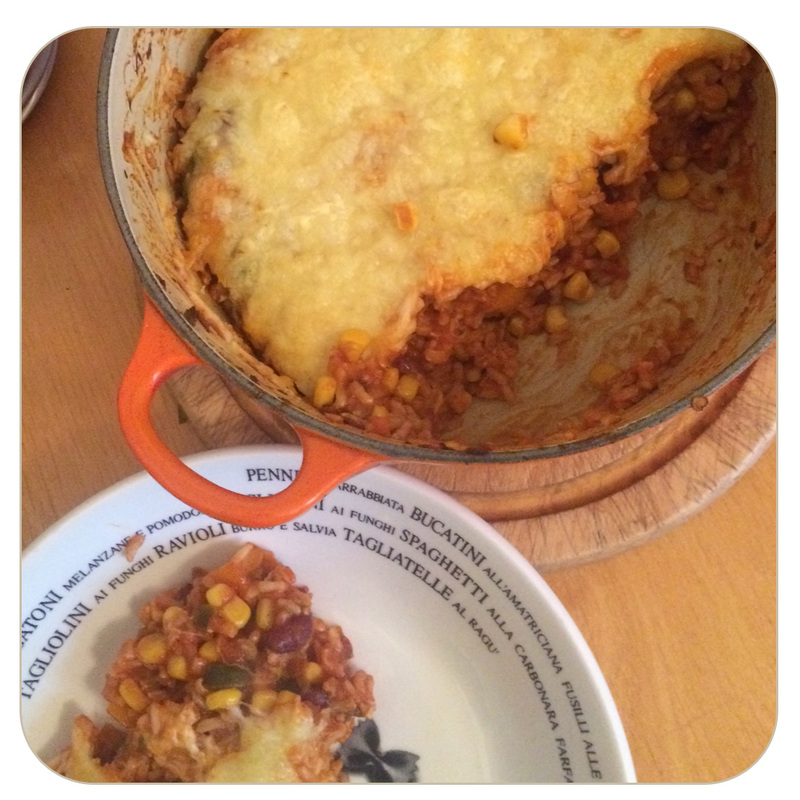 And another gluten-free recipe… AGAIN with a Mexican touch: A casserole filled with beans and rice and enchilada sauce, broiled in the oven with a golden cheese crust. Yummi! 1 diced onion, 1 TblSp olive oil, cumin, chili flakes, paprika, salt, dried oregano, 1 red bell pepper (diced), 100 g diced green chillies, app. 200 g corn, app. 200 g kidney beans, app. 200 ml enchilada sauce, 1,5 cups cooked brown rice, app. 200 g shredded cheese. Heat the olive oil in a large skillet. Add onions. Cook for app. 3 minutes, then add the spices, roast for one more minute. Add the bell pepper and green chillies. Stir and cook for another 2 minutes. Add the beans, the corn, the enchilada sauce and the rice. Stir together.Top the mixture with grated cheese. Broil in the oven for about 5 minutes until the cheese is golden. 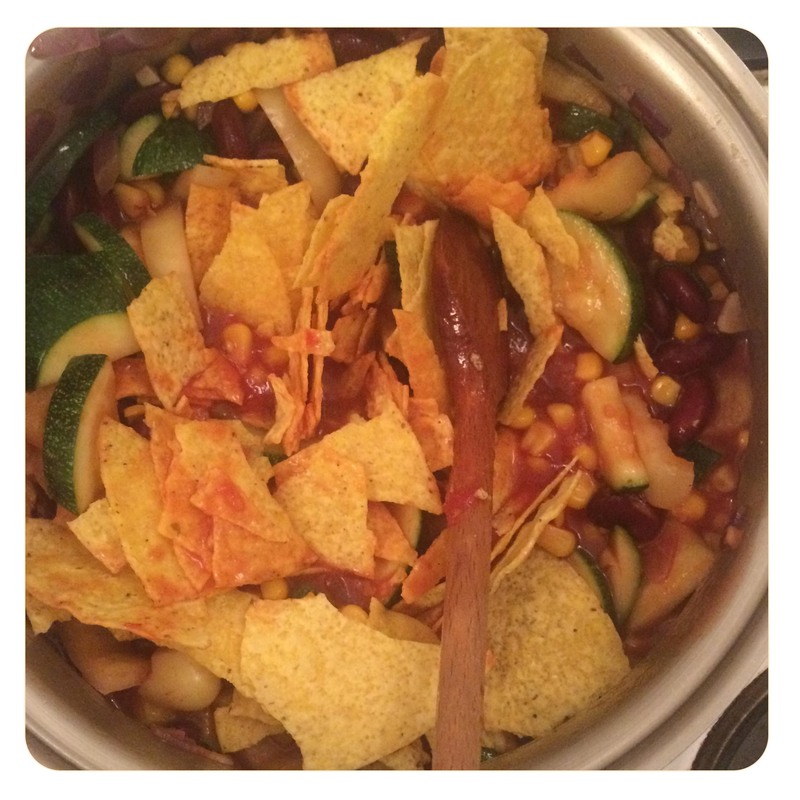 Here comes another gluten-free recipe… this time with a Mexican touch: An enchilada pot with taco shell pieces! ¡Ay, caramba! 2 TblSps olive oil, 5 taco shells (cut into pieces), 1 diced onion, 1 zucchini (diced), 1 bell pepper (diced), 1 garlic clove (minced), app. 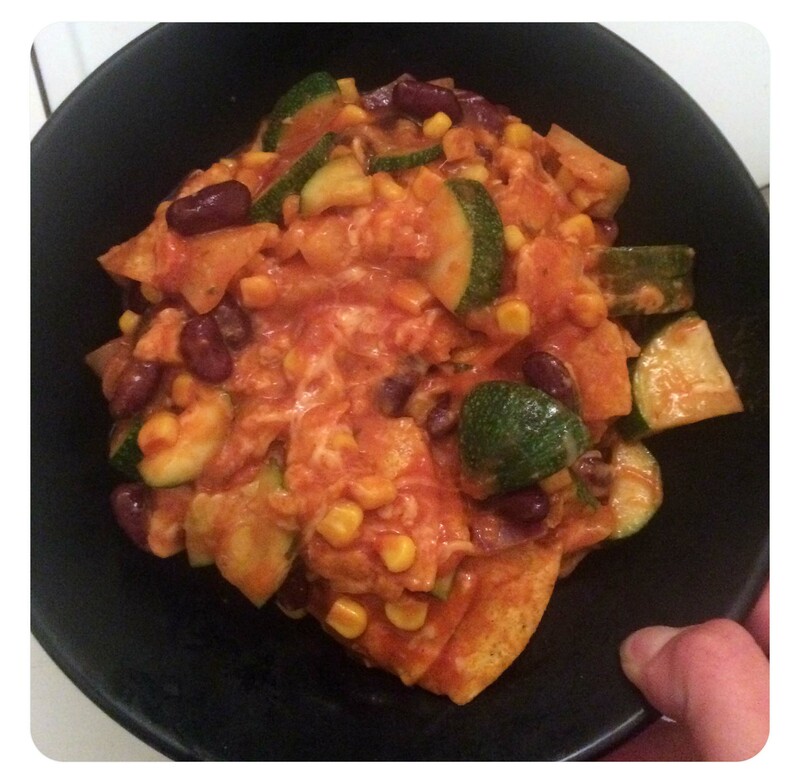 200 g corn, 1 can kidney beans (rinsed and drained), salt, pepper, ground cumin, paprika, app. 200 g grated cheese, 125 ml enchilada sauce. Heat the olive oil in a large skillet. Add onions and a pinch of salt. Cook for app. 2 minutes, then add zucchini, corn, bell pepper, garlic and beans. Season with the spices. Stir until everything is combined. Add the enchilada sauce and taco pieces and cook for app. 10 minutes. Add the grated cheese and stir. Turn the heat off and cover the skillet for some minutes, until the cheese is melted. An easy brussels sprouts gratin for stormy February days. Doesn’t only give you a comfy feeling but also lots of vitamins :D! Ingredients: 600 g brussels sprouts (cleaned), 500 g sweet potatoes (peeled and cut into bite-sized cubes), 1 onion (minced), 5 TblSp olive oil, 2 garlic cloves (minced), dried rosemary, 250 ml heavy cream, 300 ml vegetable stock, salt, pepper, 3 slices bread for toasting (cut into cubes). Preparation: Heat 2 TblSps oil in a big pot. Add 1 minced garlic clove and the onions, wait until tender. Add brussels sprouts, sweet potatoes and some rosemary. Roast shortly. Add heavy cream and vegetable stock, let cook for 5 more minutes. 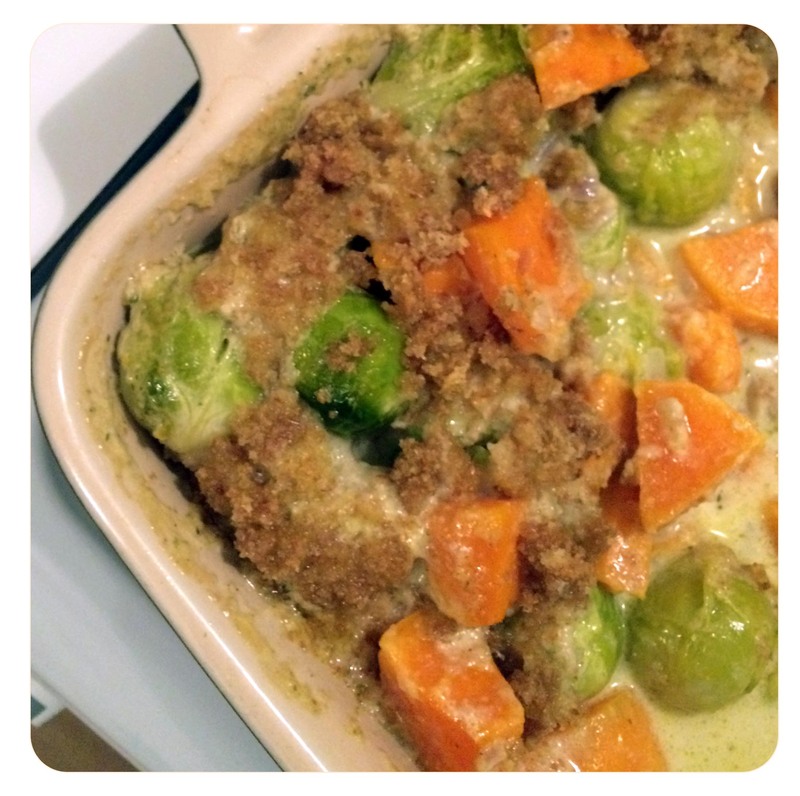 Season with salt and pepper and fill the vegetable/heavy cream-mix into a casserole. Blend toast cubes, some rosemary, the second minced garlic clove and 3 TblSps olive oil. Use the bread mix to top your gratin. Bake for app. 25 minutes at 180°C. Dreaming About … Just Baking! Sweet Potato Casserole (The Domestic Front) – Garden Keeper’s Pie (The First Mess) – Vegetarian Lasagna (Food52). Pear Rosemary Danish (Food52) – Stuffed Sweet Potatoes (Averie Cooks) – Tomato Cobbler (a little saffron). This is the last part of my little Dreaming About Baking series. Just a few more recipes I found and am lusting about trying out. At the weekend I will be back in my old flat in Osnabrück (with an oven). Now I simply have to decide which one of all this delicious sounding dishes I will prepare first ;). When I come home in the evening, I am often extremely hungry and slightly exhausted. So, I need something hearty, simple and comforting to eat. A casserole is perfect since one can invent innumerous variations and while it is in the oven there is enough time to come down from the day and already smelling the scent of dinner time. The beet & pasta casserole is my newest dinner idea. The slightly pink noodles may look a bit strange (I had to think on ham while doing the photos above), but the beet makes it a fresh and delicious dish that I will treat myself with more often in the future. Preparation: Cook the pasta. Meanwhile mix the eggs, the curd cheese and app. 100 g of the grated cheese. Season mixture with salt, pepper and nut meg. Drain the pasta, add onions, beets and the egg-cheese-mixture. Put everything into a casserole dish. Top with the rest of the grated cheese. Bake for app. 20 minutes at 200 °C.